Battlefields Trust members may have read in the press (see bit.ly/17kSMJx) about the decision by York City Council to allow the construction of around 600 houses on the probable site of the battle of Fulford (1066). 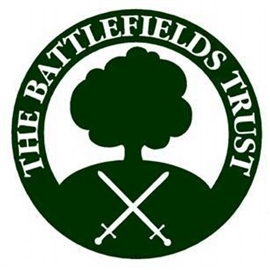 Chas Jones from the Fulford Battlefield Society had applied to English Heritage to have the battle registered and the Trust was satisfied that the evidence in support of the application would be carefully assessed by English Heritage and its Battlefields Panel. In the event the application was refused on the grounds that the battle was not securely located. Identifying the location of medieval battlefields is nortoriously difficult. The limited documentary evidence, dating from some 150 years after the battle, indicates that Fulford was fought south of York by the river Ouse in the vicinty of the town and near to a marsh. Whilst this is insufficient to locate the battle with absolute certainty, based on inherent historical military probability the Germany Beck location preferred by the Fulford Battlefield Society is its most likely site. Germany Beck cuts a morain ridge and a force advancing from Riccall, where the Norse army landed, would most likely have followed this route to York, making the Beck area, with the river to the west and marshy ground to the east, a good location for the Anglo-Saxon army to deploy a blocking force. Archaeological work commissioned by Chas Jones has also found evidence of metal working at the site that may or may not be associated with the battle and there have been suggestions that arrow heads have also been found. This uncertainty led English Heritage to conclude the site's location was not sufficiently secure (one of the criteria for registration) to warrant inclusion in the Battlefields Register. The Trust understands English Heritage's reasons for coming to this decision in so far as the inclusion of unsecure sites on the register potentially raises questions about the credibility of other designations, increasing risks to battlefields generally. However the Battlefields Trust understands English Heritage has been asked to look again at the evidence for the location of the battle and awaits its conclusions with interest. The Trust opposes the decision by York City Council to allow the construction of homes and judges that the decision should have been postponed until English Heritage has completed its deliberations and further analysis of the archaeology of the site had been completed given the importance of the battle. Please click here for a copy of the letter sent to Councillor Alexander by the Battlefields Trust.